ARUCAD > Haberler > “Voices” series kicks off with Arzu Akkaya at ARUCAD Art Space. “Voices” series kicks off with Arzu Akkaya at ARUCAD Art Space. 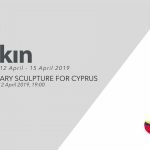 Cyprus and region’s sole art-design-communication focused university Arkin University of Creative Arts and Design’s (ARUCAD) Nicosia events venue Art Space launches the “Voices” series on Tuesday evening at 18:00 on February 19, 2019 with Arzu Akkaya. The first talk of the “Voices” series which is organised by ARUCAD Culture and Arts Coordination Office will be delivered, under the heading of “Illustrated Publishing during the Ottomans”, by ARUCAD Photography and Video Department lecturer Assoc. Prof. Dr. Arzu Akkaya on Tuesday, February 19 at 18:00. National and international names in the art, design, visual communication world will be hosted at the talks series that will be held regularly every month. In her research Assoc. Prof. Dr. Arzu Akkaya analyses illustrated publishing during the Ottoman era, as well as during the Republican and post-Republican periods. The research, which was developed with the use of archive documents and periodicals, imparts information about the press during the late Ottoman and early Republican period. You may attend the “Voices” series at the events venue or, alternatively, you may watch the video recording that will be shared afterwards on the ARUCAD Art Space Facebook page. She completed her post-graduate degree at the Art History Department of Hacettepe University. She did her doctorate degree on Ottoman Art Magazines and Design at the Art History Department of Istanbul University. She was a lecturer at the Art History Department of Istanbul University between 2006-2018. During this time she was also a member of the publishing team of the “Art History Almanac”, a publication of Istanbul University Art History Research Centre. In addition to her academic duties she also acted as a manager at the Istanbul University’s Bayezid II. Turkish Bath Culture Museum. She was a committee member and curator at the exhibitions that were held here.